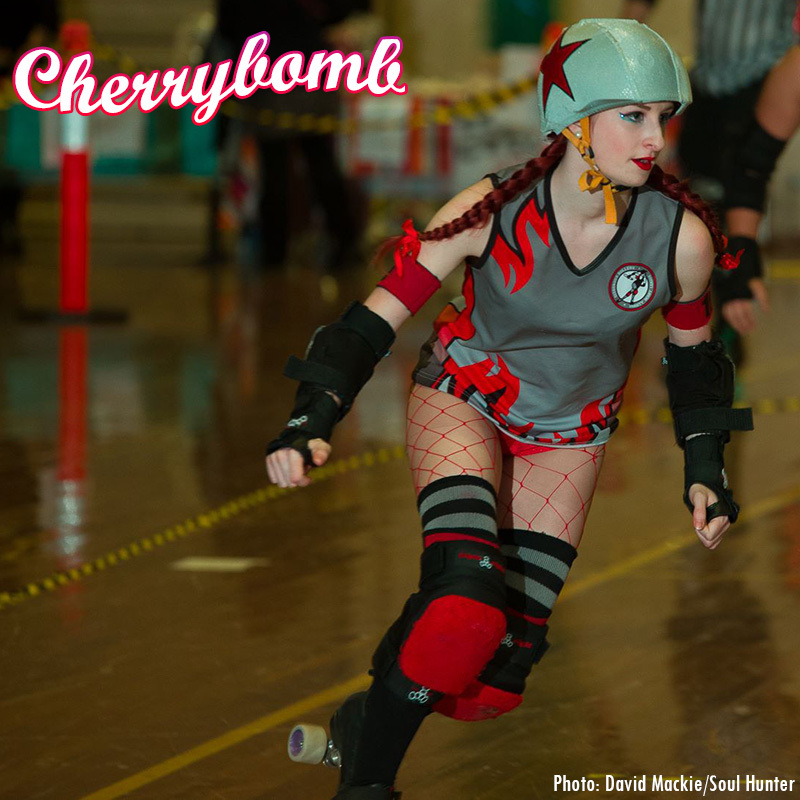 Our featured skater loves all things vintage and while she might dress like a Pink Lady off the track, on it she’s all hotrod…it’s Cherrybomb! I’ve been on quads for about a year and a half, I did some inline skating when I was young but Mojo had me in ice skates from the moment I could walk! You can blame Reaper Cussions for that one! She told us (Mojo and I) to come to the come and try fresh meat sessions, which happened to fall on Mother’s Day that year, so we did and the rest is history! Just being on the track! I love to jam but I’ve taken to blocking recently, but I’ll always be a jammer at heart! What was your best “light-bulb” moment? Accepting my fate. Once I accepted the fact that “You’re probably going to get hit and it’s probably going to hurt” I could really wrap my head around derby. This is derby after all, and to think any blocker is going to let you sail right through the middle of the pack as a jammer is madness. 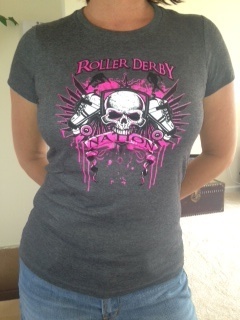 So once I got over the fear of being hit I could harness my inner derby girl. Red lipstick, winged eyeliner, fishnets and getting my head in the game with a serious amount of 90s electronica and 70s rock music. Do you have a favourite song to get amped pre-bout? I don’t have one song that gets me amped, more like a giant play list with a combination of my favourite Queen, System of a Down, Prodigy, Led Zeppelin and Fatboy Slim songs. What was your favourite bout moment? It’s not an in-game moment as such but it was a very special moment when my Pop came to watch me play my first game of derby…it was a super special moment I’ll never forget! Well Cherrybomb is the name I blog under, I lifted it from a WWII warplane. I love all things vintage and pinup style so it was only natural to steal from the past! What skate set-up do you have/Do you have any gear recommendations? What is one piece of advice you would give a freshie? Two things: Read the rules! You can’t learn the rules by osmosis, believe me I tried for a while there. Once you understand the rules, you’ll understand derby! (Then you can think up cool ways to bend the rules to your advantage!…did someone say one handed cartwheels across the apex?…) AND Persistence is key. It has taken me my whole derby career to figure out how to do a power slide and a hockey stop. Just because you don’t pick a skill up straight away doesn’t make you a failure, it’s just something to work at! Keep working at it and bit-by-bit you’ll achieve any goal you set yourself! Did you play sport before derby? Who are your derby heroes and why? I don’t think I really have any heroes… I don’t like the idea of a pedestal. 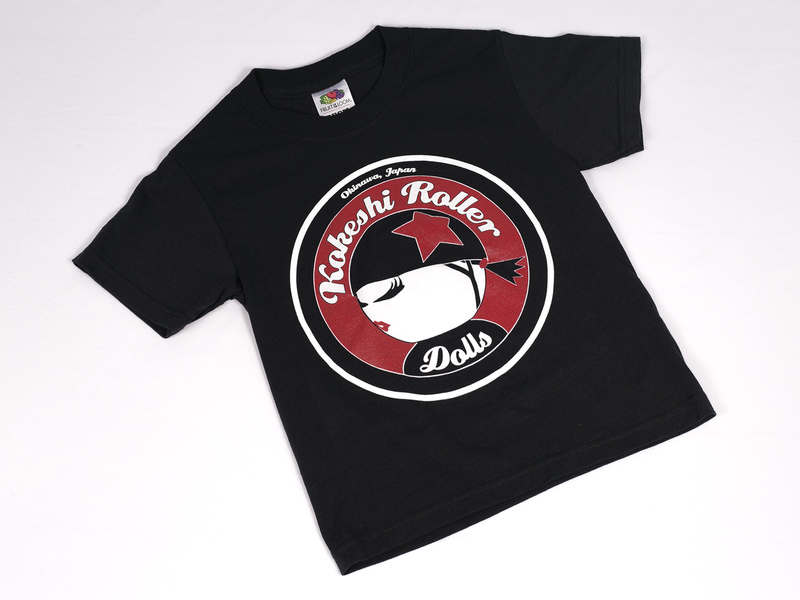 I think if there is one person’s derby brain I’d like to download it would have to be Shortstop’s. That woman is raw talent, commitment and skill and I would love to be able to be as versatile as her! Go team short skaters! How would you sum up your derby playing style in three words? As Ladies traduzem: Patine de verdade!